Next to a vacpack, it’s a rancher’s best friend. 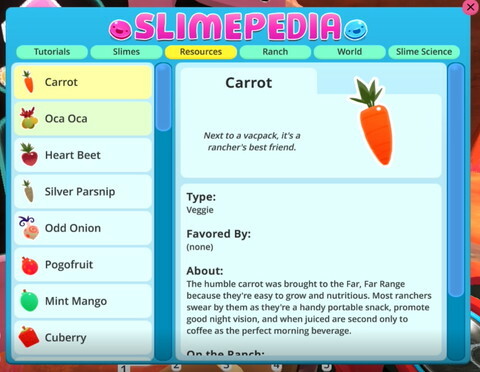 About:The humble carrot was brought to the Far, Far Range because they’re easy to grow and nutritious. Most ranchers swear by them as they’re a handy portable snack, promote good night vision, and when juiced are second only to coffee as the perfect morning beverage. 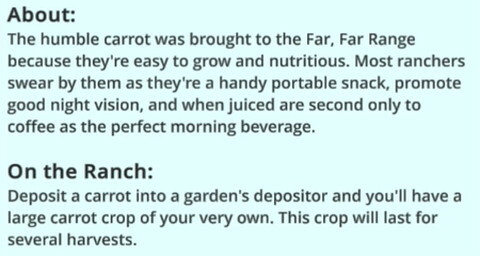 On the Ranch: Deposit a carrot into a garden’s depositor and you’ll have a large carrot crop of your very own. This crop will last for several harvests. A tubular mix of colorful spuds. About: A staple of cooking on the range, the hearty oca Oca is a naturally salty, soft spud. 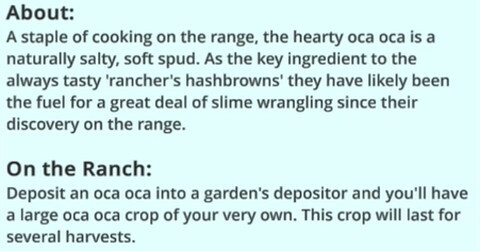 As the key ingredient to the always tasty ‘rancher’s hashbrowns’ they have likely been the fuel for a great deal of slime wrangling since their discovery on the range. On the Ranch: Depositan Oca Oca into a garden’s depositor and you’ll have a large oca oca crop of your very own. This crop will last for several harvests. If you listen to it closely, you can faintly hear a veggie. About: Heart beets get their name from their deep, red color and heart-like shape. Heart beets are also unusually juicy for a beet, making it the only veggie that’s not for the squeamish in the kitchen. 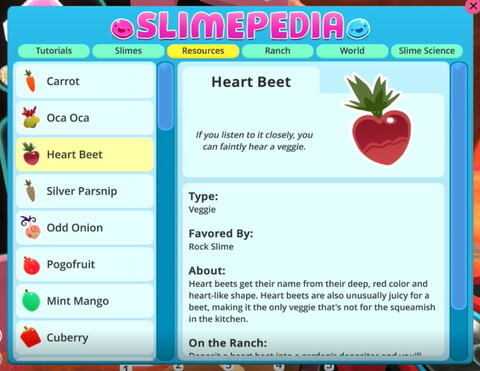 On the Ranch: Deposit a heart beet into a garden’s depositor and you’ll have a large heart beet crop of your very own. This crop will last for several harvests. Like a carrot’s rich, sophisticated cousin. 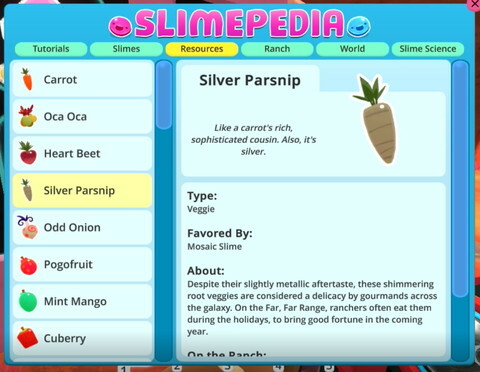 Also, it’s silver. About: Despite their slightly metallic aftertaste, these shimmering root veggies are considered a delicacy by gourmands across the galaxy. On the Far, Far Range, ranchers often eat them during the holidays, to bring good fortune in the coming year. 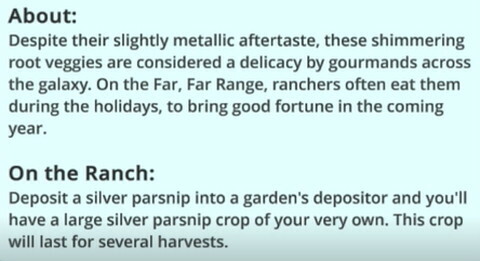 On the Ranch: Deposit a silver parsnip into a garden’s depositor and you’ll have a large silver parsnip crop of your very own. This crop will last for several harvests. 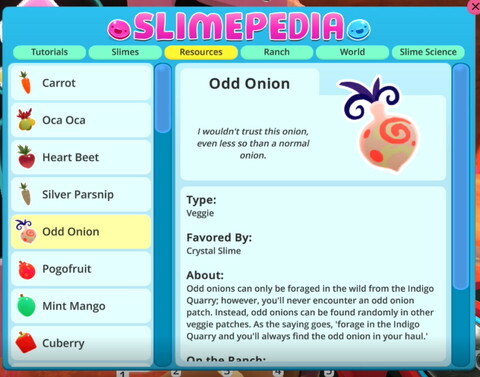 I wouldn’t trust this onion, even less so than a normal onion. 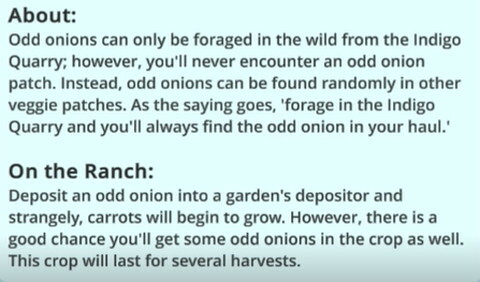 On the Ranch: Deposit an odd onion into a garden’s depositor and strangely, carrots will begin to grow. However, there is a good chance you’ll get some odd Onions in the crop as well. This crop will last for several harvests. Very few ranchers will ever read this. 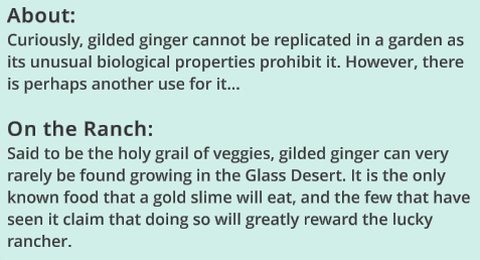 About: Curiously, gilded ginger cannot be replicated in a garden as its unusual biological properties prohibit it. However, there is perhaps another use for it. 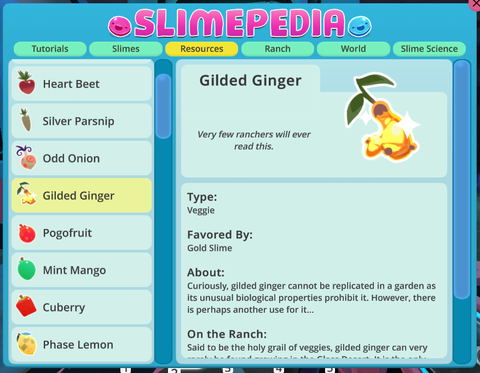 On the Ranch: Said to be the holy grail of veggies, gilded ginger can very rarely be found growing in the Glass Desert. It is the only known food that a gold slime will eat, and the few that have seen it claim that doing so will greatly reward the lucky rancher. The most common fruit found on the Range, and some say, the most delicious. About:Pogofruit are a common sight almost anywhere on the Far, Far Range. Tasting a bit like a peach, they’re most notable for having their trademark spots both on and under the skin. On the Ranch:Deposit a pogofruit into a garden’s depositor and you’ll grow a large pogo fruit tree of your very own. This tree will last for several harvests. Intensely sweet with a cool, minty finish. 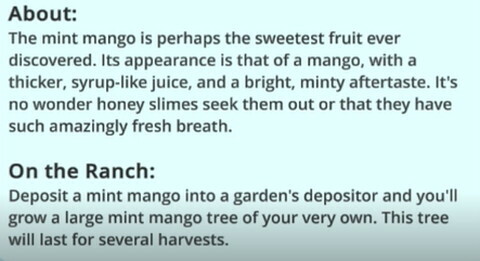 About:The mint mango is perhaps the sweetest fruit ever discovered. 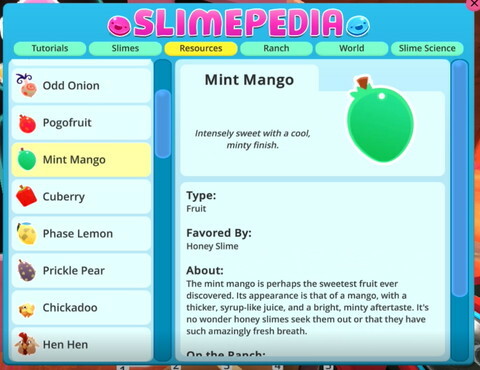 Its appearance is that of a mango, with a thicker, syrup-like juice, and a bright, minty aftertaste. It’s no wonder honey slimes seek them out or that they have such amazingly fresh breath. On the Ranch:Deposit a mint mango into a garden’s depositor and you’ll grow a large mint mango tree of your very own. This tree will last for several harvests. Delicate, sweet, and they never roll off the table. About:Due to their sweet taste and curious shape, cuberries were quick to become a favorite amongst the first ranchers on the range. They are often used in cakes and pies when celebrating special occasions, like birthdays or Plortapalooza. 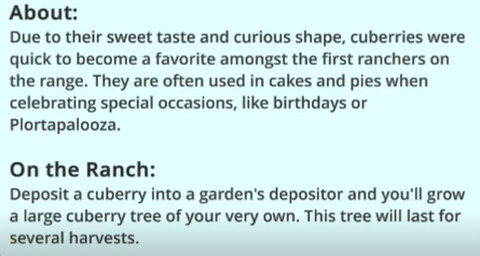 On the Ranch: Deposit a cuberry into a garden’s depositor and you’ll grow a large Cuberry tree of your very own. This tree will last for several harvests. Plucked from a tree rooted in the…past? 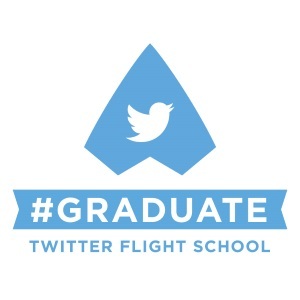 Future? Or…? About: A phase lemon comes from a different place and time. They are like an echo, reverberating through the halls of the Ancient Ruins, never staying in the same place for long. 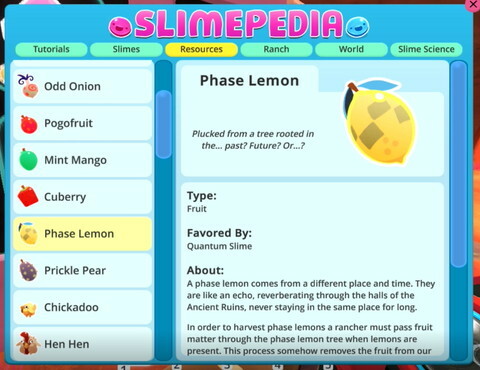 In order to harvest phase lemons a rancher must pass fruit matter through the phase lemon tree when lemons are present. This process somehow removes the fruit from our reality and phases in a lemon in exchange. 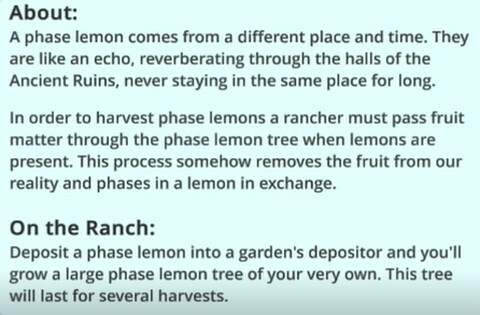 On the Ranch:Deposit a phase lemon into a garden’s depositor and you’ll grow a large phase lemon tree of your very own. This tree will last for several harvests. This is a fruit that knows how to fight back. 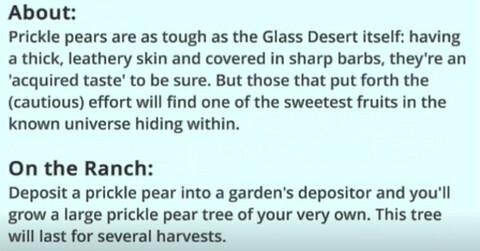 About: Prickle pears areas tough as the Glass Desert itself: having a thick, leathery skin and covered in sharp barbs, they’re an ‘acquired taste’ to be sure. But those that put forth the (cautious) effort will find one of the sweetest fruits in the known universe hiding within. On the Ranch: Deposit a prickle pear into a garden’s depositor and you’ll grow a large prickle pear tree of your very own. This tree will last for several harvests. So little and soft you’d think they’re filled with marshmallow. 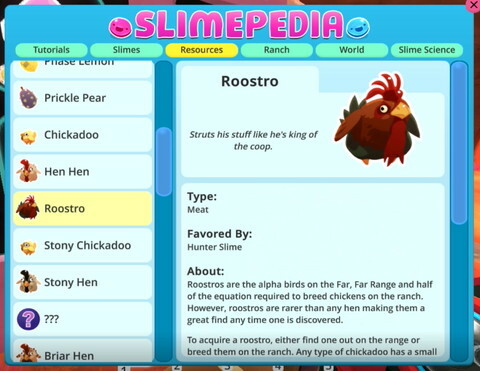 About:Chickadoos are baby chickens that will eventually grow into a hen hen or more rarely, a roostro. 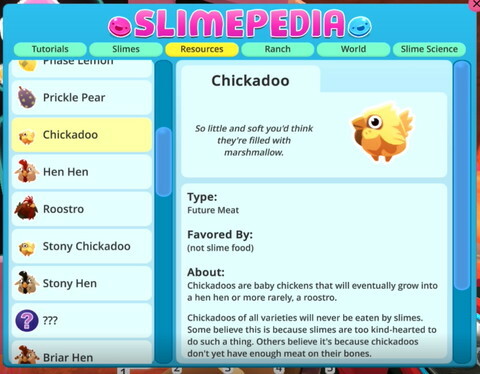 Chickadoos of all varieties will never be eaten by slimes. Some believe this is because slimes are too kind-hearted to do such a thing. 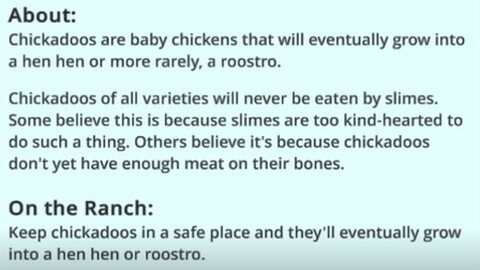 Others believe it’s because chickadoos don’t yet have enough meat on their bones. 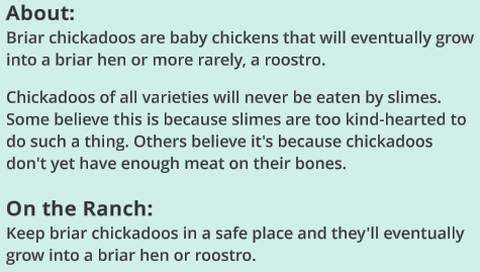 On the Ranch:Keep chickadoos in a safe place and they’ll eventually grow into a hen hen or roostro. 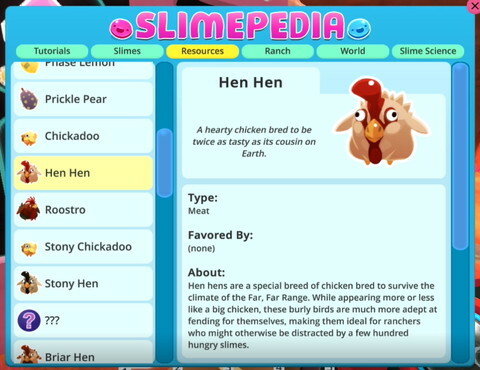 A hearty chicken bred to be twice as tasty as its cousin on earth. About:Hen hens are a special breed of chicken bred to survive the climate of the Far, Far Range. 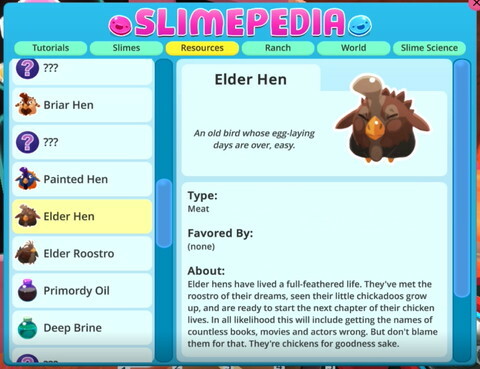 While appearing more or less like a big chicken, these burly birds are much more adept at fending for themselves, making them ideal for ranchers who might otherwise be distracted by a few hundred hungry slimes. On the Ranch: Hen hens in close proximity to roostros will periodically lay eggs that produce chickadoos. However, keeping too many hens or roostros in close proximity makes them anxious and egg production will come to a halt. Savvy ranchers with an understanding of the complex nature of chicken romance always keep their coops from exceeding 12 grown Chickens. Struts his stuff like he’s king of the coop. 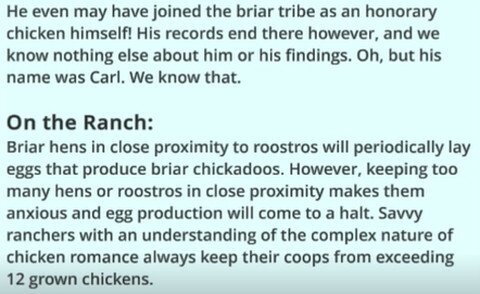 About: Roostros are the alpha birds on the Far, Far Range and half of the equation required to breed chickens on the ranch. However, roostros are rarer than any hen making them a great find any time one is discovered. 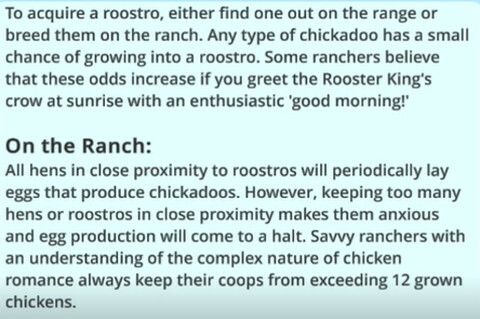 On the Ranch: All hens in close proximity to roostros will periodically lay eggs that produce chickadoos. However, keeping too many hens or roostros in close proximity makes them anxious and egg production will come to a halt. Savvy ranchers with an understanding of the complex nature of chicken romance always keep their coops from exceeding 12 grown chickens. This little chick had quite a hard upbringing. 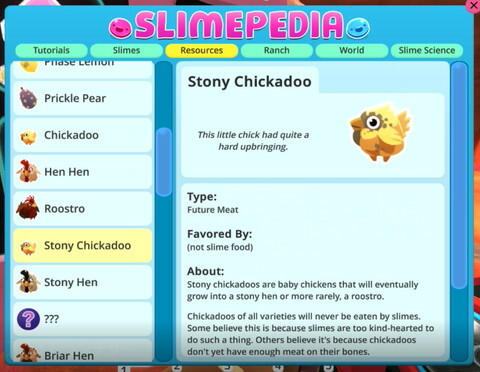 About: Stony chickadoos are baby chickens that will eventually grow into a stony hen or more rarely, a roostro. 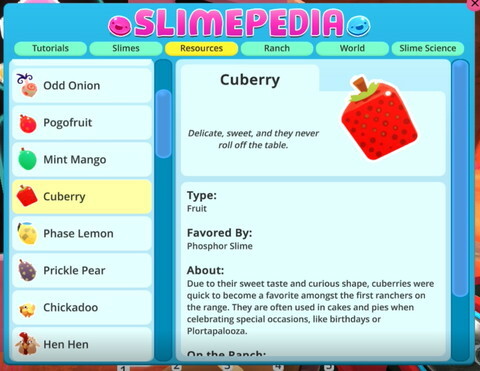 Chickadoos of all varieties will never be eaten by slimes.Some believe this is because slimes are too kind-hearted to do such a thing. Others believe it’s because chickadoos don’t yet have enough meat on their bones. 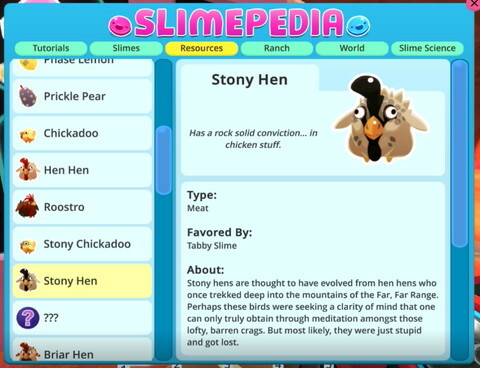 On the Ranch:Keep stony chickadoos in a safe place and they’ll eventually grow into a stonyhen or roostro. 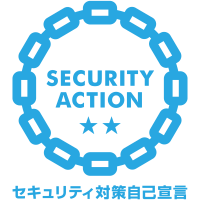 Has a rock solid conviction… in chicken stuff. About: Stony hens are thought to have evolved from hen hens who once trekked deep into the mountains of the Far, Far Range. Perhaps these birds were seeking a clarity of mind that one can only truly obtain through meditation amongst those lofty, barren crags. But most likely, they were just stupid and got lost. On the Ranch: Stony hens in close proximity to roostros will periodically lay eggs that produce stony chickadoos. However, keeping too many hens or roostros in close proximity makes them anxious and egg production will come to a halt. Savvy ranchers with an understanding of the complex nature of chicken romance always keep their coops from exceeding 12 grown chickens. A breed of chick that’s totally bush-league. 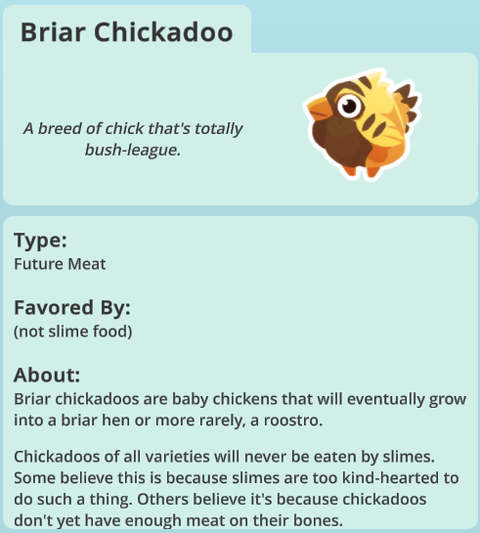 About: Briar chickadoos are baby chickens that will eventually grow into a briar hen or more rarely, a roostro.Chickadoos of all varieties will never be eaten by slimes. Some believe this is because slimes are too kind-hearted to do such a thing. Others believe it’s because chickadoos don’t yet have enough meat on their bones. On the Ranch:Keep briar chickadoos in a safe place and they’ll eventually grow into a briar hen or roostro. A real wild bird that loves to ramble in the bramble. 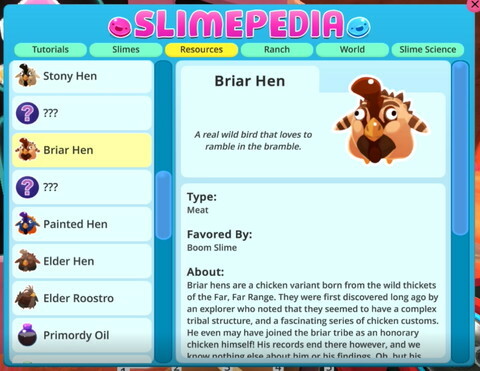 About: Briar hens are a chicken variant born from the wild thickets of the Far, Far Range. They were first discovered long ago by an explorer who noted that they seemed to have a complex tribal structure, and a fascinating series of chicken customs. He even may have joined the briar tribe as an honorary chicken himself. His records end there however, and we know nothing else about him or his findings. Oh, but his name was Carl. We know that. On the Ranch: Briar hens in close proximity to roostros will periodically lay eggs that produce briar chickadoos. However, keeping too many hens or roostros in close proximity makes them anxious and egg production will come to a halt. Savvy ranchers with an understanding of the complex nature of chicken romance always keep their coops from exceeding 12 grown chickens. A tiny chick that’s hiding a bounty of colorful potential. 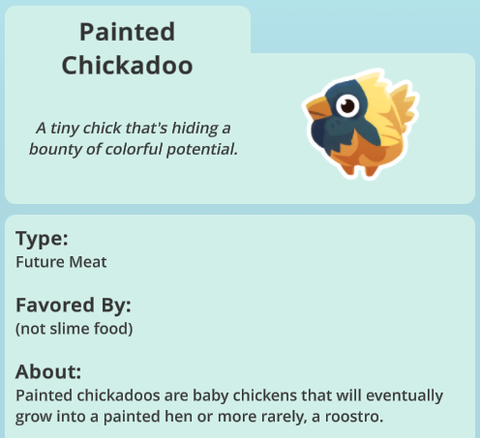 About: Painted chickadoos are baby chickens that will eventually grow into a painted hen or more rarely, a roostro.Chickadoos of all varieties will never be eaten by slimes. Some believe this is because slimes are too kind-hearted to do such a thing. 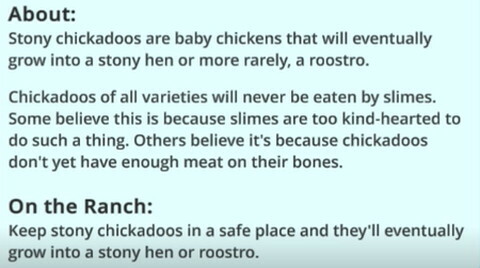 Others believe it’s because chickadoos don’t yet have enough meat on their bones. On the Ranch: Keep painted chickadoos in a safe place and they’ll eventually grow into a painted hen or roostro. Some believe it’s what lies at the end of the rainbow. Totally disappointing. About: Painted hens are the colorful chicken variants found in the Glass Desert. It is unknown what caused their rainbow-like plumage to occur. One theory suggests their colors area biological mimicry of the prismatic glass found within the desert, while another theory states that their wild colors made them the dominant mates of the Cluck Kingdoms and were thus banished to the desert by a coalition of jealous chickens who couldn’t compete with these fashionable fouls. But the latter theory is only actually believed by one very strange person, so we’re not sure why it would have been included here. On the Ranch:Painted hens in close proximity to roostros will periodically lay eggs that produce painted chickadoos. However, keeping too many hens or roostros in close proximity makes them anxious and egg production will come to a halt. Savvy ranchers with an understanding of the complex nature of chicken romance always keep their coops from exceeding 12 grown chickens. An old bird whose egg-laying days are over, easу. About: Elder hens have lived a full-feathered life. 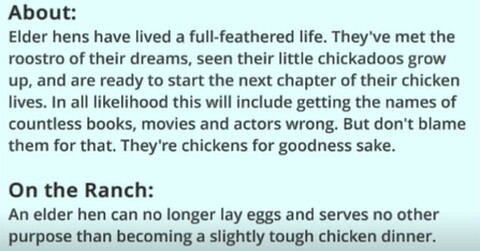 They’ve met the roostro of their dreams, seen their little chickadoos grow up, and are ready to start the next chapter of their chicken lives. In all likelihood this will include getting the names of countless books, movies and actors wrong. But don’t blame them for that. They’re chickens for goodness sake. On the Ranch:An elder hen can no longer lay eggs and serves no other purpose than becoming a slightly tough chicken dinner. Shakes his tail feathers and no one cares. About: Elder roostros are the senior-aged roostros who have retired from the otherwise bustling life of their younger counterparts. “Young roostros crow too much, they move too fast, and frankly have no respect for their elders,’ an elder roostro might say of youths; as they make a gross, smacking sound with their lips. 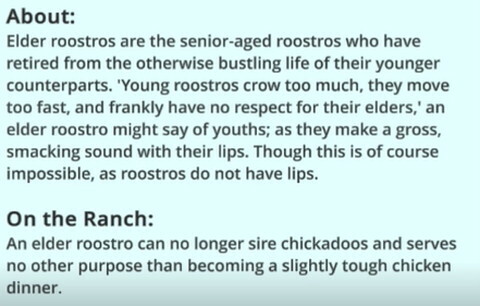 Though this is of course impossible, as roostros do not have lips. On the Ranch: An elder roostro can no longer sire chickadoos and serves no other purpose than becoming a slightly tough chicken dinner. About: Primordy oil is a common resource obtained with a pump. Found deep below the surface of the Far, Far Range, primordy oil is an ancient substance containing a wide array of organic Compounds, making it perfect as a base for many Slime Science creations. 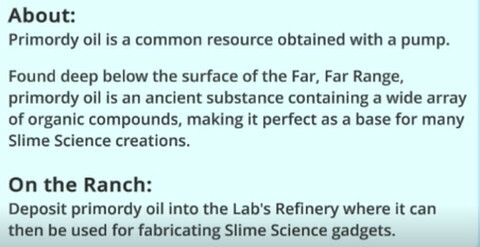 On the Ranch: Deposit primordy oil into the Lab’s Refinery where it can then be used for fabricating Slime Science gadgets. Salt of the earth kind of stuff. 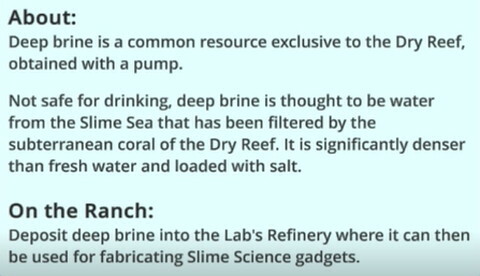 About: Deep brine is a common resource exclusive to the Dry Reef, obtained with a pump. Not safe for drinking, deep brine is thought to be water from the Slime Sea that has been filtered by the subterranean coral of the Dry Reef. It is significantly denser than freshwater and loaded with salt. On the Ranch: Deposit deep brine into the Lab’s Refinery where it can then be used for fabricating Slime Science gadgets. If you search for it, you’ll find something wonderful. 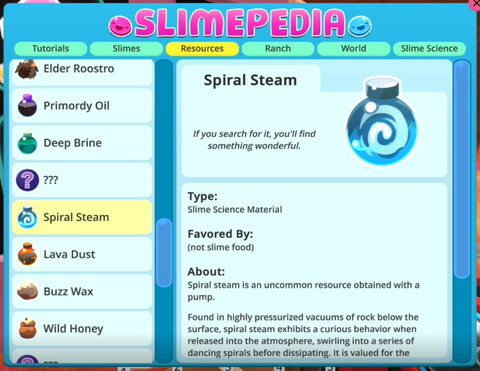 About: Spiral steam is an uncommon resource obtained with a pump.Found in highly pressurized vacuums of rock below the surface, spiral steam exhibits a curious behavior when released into the atmosphere, swirling into a series of dancing spirals before dissipating. It is valued for the countless micro-particles found within the steam itself. On the Ranch: Deposit spiral steam into the Lab’s Refinery where it can then be used for fabricating Slime Science gadgets. About: Lava dust is a rare resource obtained with a pump.Neither a solid or a liquid, lava dust seems to be something in between, having the characteristics of both. 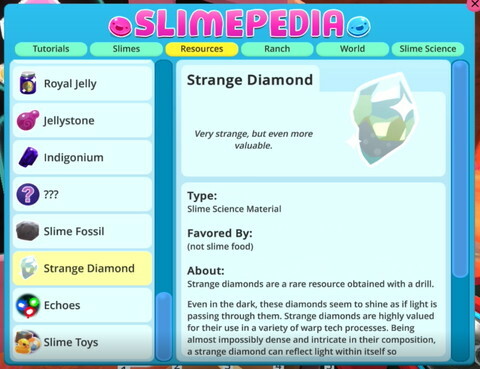 It is believed to be a mixture of magma and slime, though this has never been proven. And despite its name, lava dust is only warm to the touch. 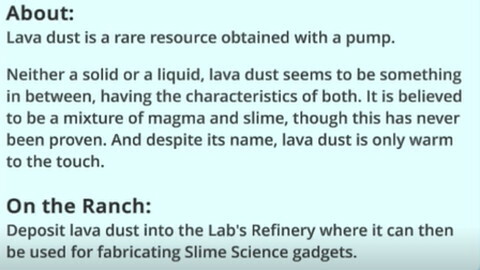 On the Ranch: Deposit lava dust into the Lab’s Refinery where it can then be used for fabricating Slime Science gadgets. The finest, smoothest sand you’ll ever see. Rubbish for sand Castles. 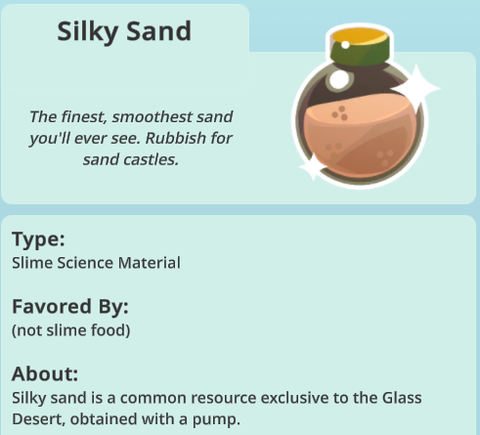 About: Silky sand is a common resource exclusive to the Glass Desert, obtained with a pump. Though the Glass Desert is covered with sand, silky sand found deep below the surface is so smooth and pure it almost feels like water. These qualities make it very useful in gadget fabrication. 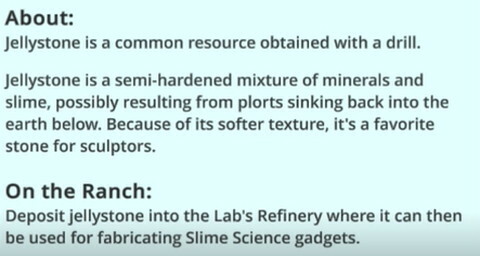 On the Ranch: Deposit silky sand into the Lab’s Refinery where they can then be used for fabricating Slime Science gadgets. Can be used to make a great scented candle if you enjoy the smell of bee abdominal glands. About:Buzz wax is a common resource obtained with an apiary. Just like bees on Earth, bees on the Far, Far Range produce a waxy substance that they use to form their hives. Buzz wax is the still malleable deposits of unused wax found in apiaries. 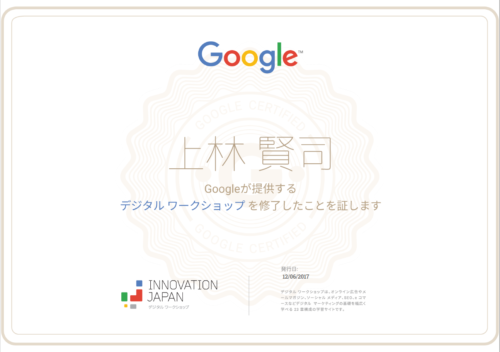 It has many practical uses ranging from building materials to medicines. You can also chew it as the worst gum in the world. 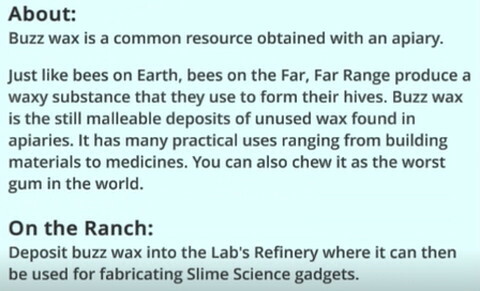 On the Ranch: Deposit buzz wax into the Lab’s Refinery where it can then be used for fabricating Slime Science gadgets. Tastes great in tea or in shameful handfuls when no one is looking. About: Wild honey is a common resource exclusive to the Moss Blanket, obtained with an apiary. All the rich pollens and sweet nectars found in the forests of the Moss Blanket combine in a beautiful alchemy to form some of the most delicious honey in the galaxy. Wild honey is a staple of rancher life; a dollop of it makes just about any food taste better, and it provides a natural boost of energy to get through a tough day of wrangling slimes. 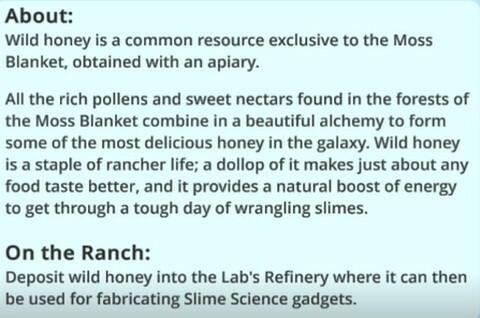 On the Ranch: Deposit wild honey into the Lab’s Refinery where it can then be used for fabricating Slime Science gadgets. Sweet, spicy, and delicious Bees are awesome. 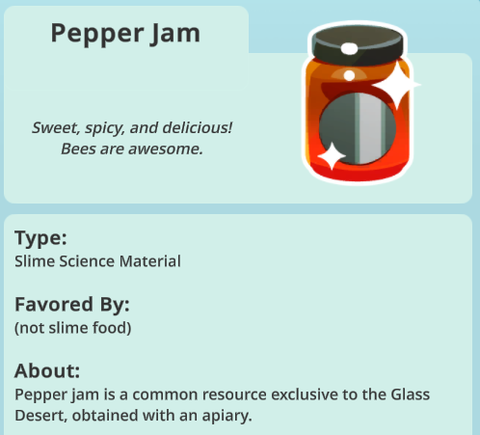 About: Pepper jam is a common resource exclusive to the Glass Desert, obtained with an apiary. Pepper jam is a strange substance found only in beehives of bees obtaining pollen from the flowers of a spicy pepper plant found somewhere in the desert. Regardless of its origin, pepper jam gives an otherwise boring, old toast experience a real kick! On the Ranch: Deposit pepper jam into the Lab’s Refinery where they can then be used for fabricating Slime Science gadgets. Bee stuff and geometry, the chocolate and peanut butter of nature. About: Hexacomb is an un common resource obtained with an аріагу. Hexacomb is the result of bees arranging buzz wax into complex patterns to store their honey and eggs. 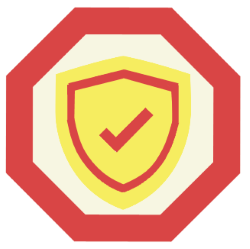 Why the hexagonal shape? Bees understand that the hexagon is the shape of the future. 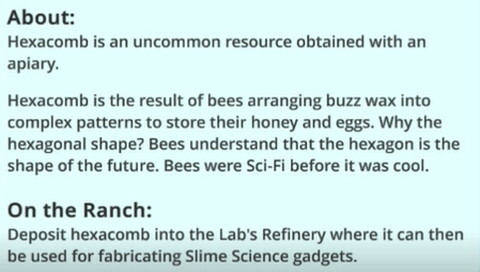 Bees were Sci-Fi before it was cool. On the Ranch: Deposit hexacomb into the Lab’s Refinery where it can then be used for fabricating Slime Science gadgets. The king of all Jellies… that is, until you meet the queen. About: Royal jelly is a rare resource obtained with an apiary. The royal jelly found in the hives across the Far, Far Range is special as it is unnaturally sweet compared to other varieties. It’s believed that this is a result of bees collecting small deposits of slime from honey slimes and working it into their royal jelly mixture. 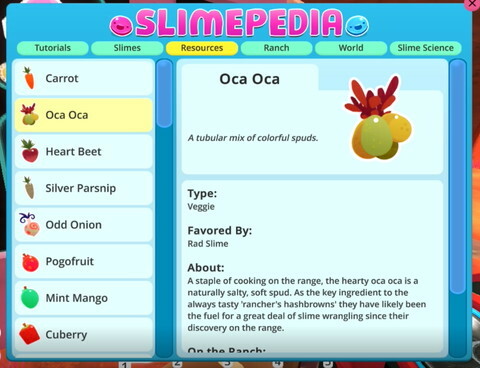 If a rancher is lucky enough to acquire some, they’ll find its unique properties are very valuable in certain Slime Science endeavors. 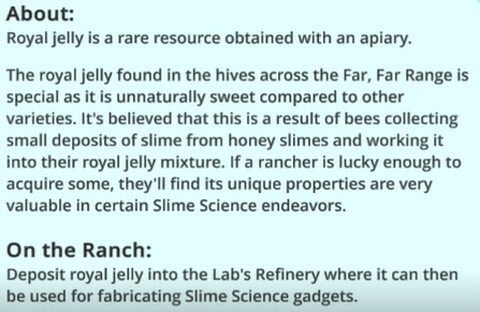 On the Ranch: Deposit royal jelly into the Lab’s Refinery where it can then be used for fabricating Slime Science gadgets. It’s both solid and squishy at the same time. 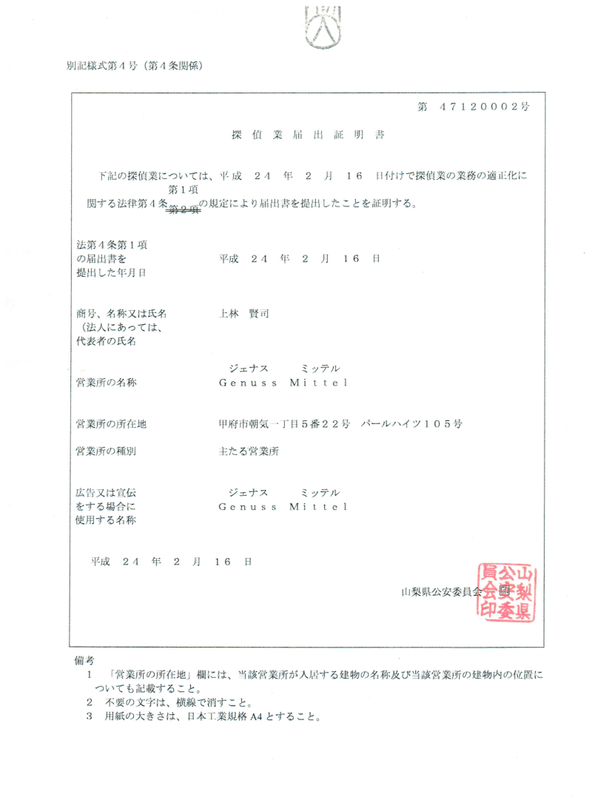 About: Jellystone is a common resource obtained with a drill. Jellystone is a semi-hardened mixture of minerals and slime, possibly resulting from plorts sinking back into the earth below. Because of its softer texture, it’s a favorite stone for sculptors. 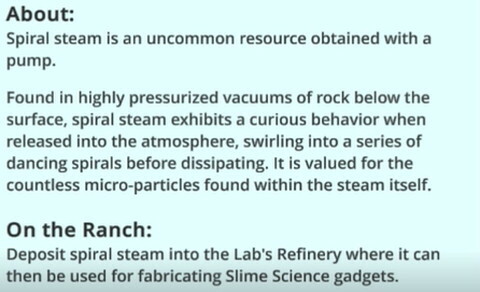 On the Ranch: Deposit jelly stone into the Lab’s Refinery where it can then be used for fabricating Slime Science gadgets. About: Indigonium is a common resource exclusive to the Indigo Quarry, obtained with a drill.Indigonium is the ore that gives the Indigo Quarry its name. There’s a little indigonium found in every inch of the quarry, but the pure store is only found deep underground. 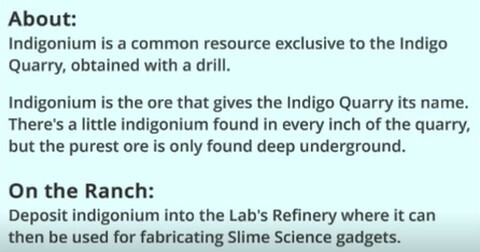 On the Ranch: Deposit indigonium into the Lab’s Refinery where it can then be used for fabricating Slime Science gadgets. A solid fragment of frozen fire. 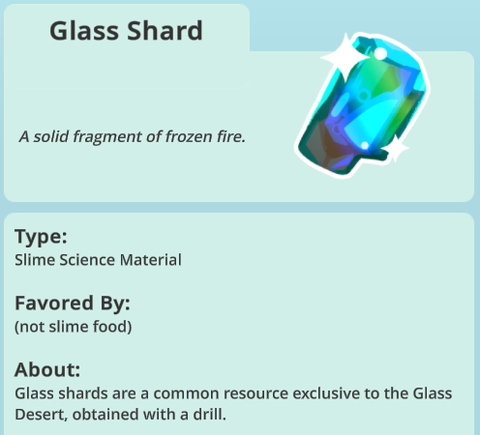 About: Glass shards are a common resource exclusive to the Glass Desert, obtained with a drill. The glass shards found in the desert are small fragments of the monolithic structures that COver its dunes and cliffs. These structures are believed to be the cause of the dangerous solar anomalies that scorch the landscape, so using a drill to collect these shards is a much safer means of Collecting samples of the glass. On the Ranch: Deposit glass shards into the Lab’s Refinery where they can then be used for fabricating Slime Science gadgets. Very strange, but even more valuable. About: Strange diamonds are a rare resource obtained with a drill. Even in the dark, these diamonds seem to shine as if light is passing through them. Strange diamonds are highly valued for their use in a variety of warp tech processes. Being almost impossibly dense and intricate in their composition, a strange diamond can reflect light within itself.so profoundly that it actually bends time. 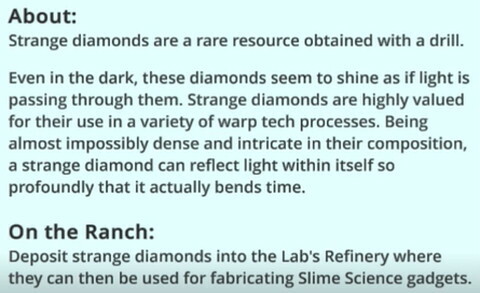 On the Ranch: Deposit strange diamonds into the Lab’s Refinery where they can then be used for fabricating Slime Science gadgets. If history could smile, it would look like this. About: Slime fossils are an uncommon resource obtained with a drill. Prized for the ancient minerals they contain, slime fossils are like nature capturing a moment in time. Specifically, that moment seems to be when a great avalanche or mudslide occurred and a slime was totally cool with it. 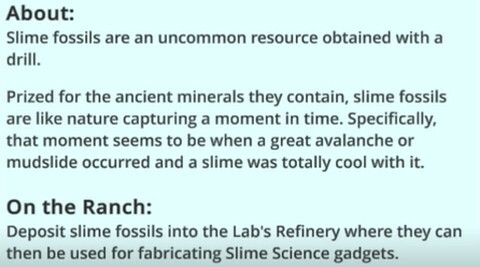 On the Ranch: Deposit slime fossils into the Lab’s Refinery where they can then be used for fabricating Slime Science gadgets. A mote of light, or perhaps, a memory? About: Within the crumbling walls of the Ancient Ruins, small traces of energy can be found, never staying in one place for very long. Called echoes, they are believed to be a phenomenon resulting from some kind of ancient event. 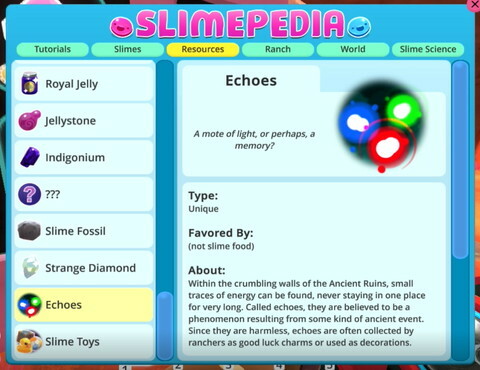 Since they are harmless, echoes are often collected by ranchers as good luck charms or used as decorations. Echoes appear regularly in the nooks and crannies of the Ancient Ruins, as well as from extractors. On the Ranch: Echoes can be used as decorations. Simply vac them up and shoot them anywhere you want. They’ll hover in that spot until you vac them up. 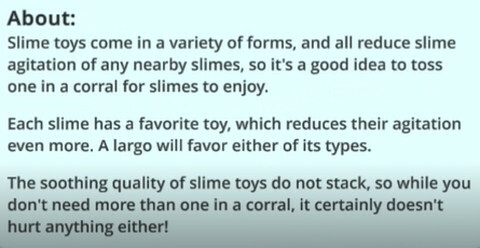 About: Slime toys come in a variety of forms, and all reduce slime agitation of any nearby slimes, so it’s a good idea to toss one in a corral for slimes to enjoy. 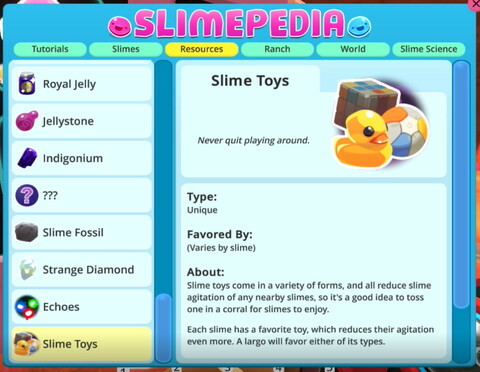 Each slime has a favorite toy, which reduces their agitation even more. A largo will favor either of its types. The soothing quality of slime toys do not stack, so while you don’t need more than one in a corral, it certainly doesn’t hurt anything either!